"Rank Challenge" is a mode that activates when you've found the Hidden treasure within a dungeon. 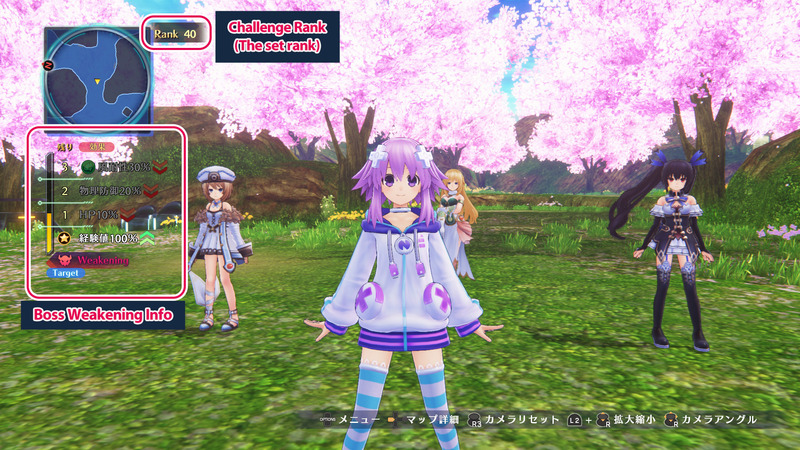 If the conditions are fulfilled, the "Rank Challenge" option will be added when entering a dungeon. To clear a Rank Challenge, you must defeat the target boss. By defeating a certain amount of enemies within the dungeon (excluding the boss), you can weaken the boss, and gain bonuses when clearing the challenge. ※ Defeated enemy symbols will not repopulate. Whether weakened or not, by defeating the boss, the challenge is cleared. If you feel the boss is too strong, it might be good to challenge it after weakening it first. By defeating the boss and clearing the challenge, you will be returned to the World Map. Also, if the cleared Rank is higher than the Technology Level, it too will increase. If you've cleared it at the highest Rank, you'll be able to challenge it at the next highest Rank. ※ The game will not be auto-saved during Rank Challenges, so be careful. If you're signed into the PlayStation™Network, you can try the "Online Dimension Rank Challenge." In this mode, you can set the Rank to the highest that other players have recorded. Similar to regular Rank Challenges, if the Rank you cleared is higher than the Technology Level, it will increase as well. ※ You will need to be signed into your PSN account when trying regular Rank Challenges. 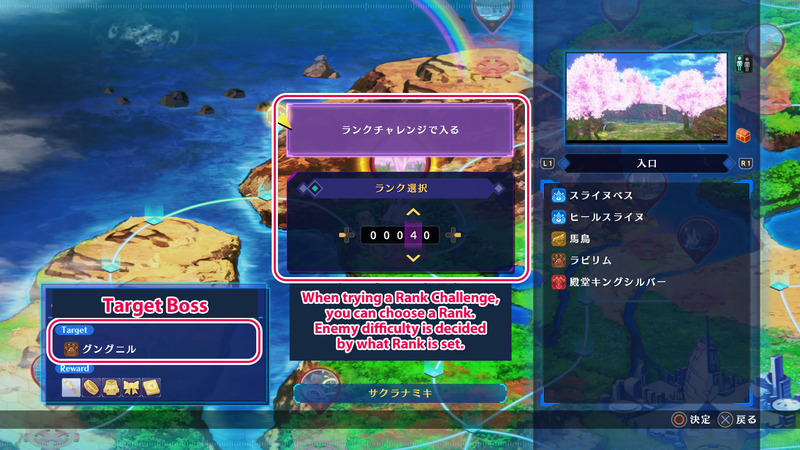 ※ If you are not logged into PSN, or if you sign out during a Challenge, you will not be able to save your record.